Coverage: Watch live on BBC TV, online, mobiles, tablets and BBC Sport app. 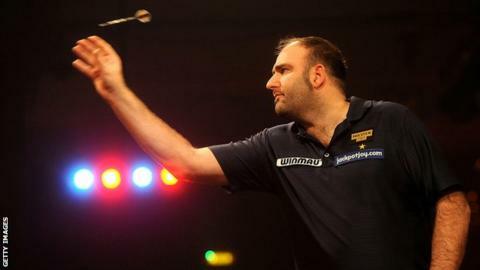 Former winner Scott Waites believes the upcoming BDO World Championship will be fiercely contested and says a host of players could win the Lakeside title. Stephen Bunting was a strong favourite to win the event in 2014 and defeated Alan Norris 7-4 in the final. However, with Bunting absent, the tournament appears more open this time. "We have got a lot of players, but a lot of our decent players are so up and down - it could be anybody's," Waites, 37, told BBC Sport. "Stephen was playing, I would say, the best darts out of all the BDO players last year. "It's all about consistency in darts. Hopefully I can improve my consistency and I think I'll have a good chance at Lakeside." Bunting switched from the British Darts Organisation to the rival Professional Darts Corporation circuit in January, less than two weeks after his success at Frimley Green. Waites thrashed Tony O'Shea 7-1 in the 2013 final to become world champion for the first time but the defence of his title was over on the first day of the 2014 event as he lost 3-0 in the first round to Norris. The Yorkshireman's preparation was not helped by a power cut that left the venue in darkness shortly before his opening match, as well as a freak injury he suffered in the days leading up to the tournament. "I got sciatica by sitting on a small bar stool trying to play dominoes for my local team," said Waites. "It was a bit of a funny predicament. I'm going to prepare well and hope I can get another win at Lakeside. "I take every game as it comes. I don't mind who I play, I'll just get up there and try to win every game that's in front of me. If you do, you do. If you don't, so be it. You learn from your mistakes and try to be better the next time." Waites, the number six seed at Lakeside, plays fellow Englishman Sam Hewson in the first round on Sunday.